The Persian-speaking world (Iran, Afghanistan, and Tajikistan) is one of the hardest places to be a practicing Christian, especially if you are not from a Christian background. Sanctions on new believers who openly meet together or try to propagate their beliefs can range from prison time to the death sentence. Christian resources and events in the Persian language are difficult to find. Many believers can feel very isolated and afraid of meeting with others. Although believers from minority groups with a traditional Christian heritage, such as Armenians, are relatively free to practice their faith, they face discrimination nonetheless. They are forbidden from sharing their faith with non-Christians, and they face abuse, harassment, and imprisonment for doing so. One case in point is Armenian Christian, Karen Vartanian (24), a student of pharmacy at Arak University. Detained in December 2017, he has been accused of promoting Christianity – a criminal offence. Over a 17-day period he lost 15 kilos in weight resulting from the severe physical and mental torture to which he was subjected. Karen suffers from congenital heart disease, which required surgery in April 2018. His family and lawyer asked the judge to grant bail with due consideration to Karen’s life-threatening heart disease. The request was refused. He suffered a heart attack while at Tehran’s Fashafiheh prison and was taken to hospital in September 2018, manacled and under guard. His family had a brief glimpse of Karen through a glass partition and they saw the evidence of beating on his face, eyes, and feet. After receiving brief treatment at the hospital, the authorities quickly returned him to prison against medical advice. His family are extremely concerned for Karen, and despite their repeated attempts they have not been allowed to visit him in prison. His trial date is yet to be set. 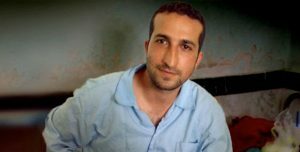 Pastor Youssef is currently serving a ten-year prison sentence in Iran for promoting Christianity. Viciously beaten and arrested by Iranian authorities in July 2018, Youssef is now serving a ten-year sentence in Tehran’s notorious Evin prison. Charged with promoting Christianity, he has also been sentenced to two years of internal exile to follow the completion of his prison term. During his arrest Iranian police brutally attacked him in front of his wife and children and even tasered his young son. Pastor Youssef has previously spent time in prison and faced the death sentence in 2010, but he was released after three years when over 70,000 people signed a global petition for his release. He has once again been beaten and locked away in prison. Pastor Youssef is not alone – many Iranian Christians and their pastors face persecution, imprisonment, and martyrdom – even at the hands of their own families. It is at significant personal risk that Christians share their faith with others. Meeting together with other believers to join in communal worship is fraught with danger. In the words of the Apostle Paul: “We are hard-pressed on every side, yet not crushed; we are perplexed, but not in despair; persecuted, but not forsaken; struck down, but not destroyed – always carrying about in the body the dying of the Lord Jesus, that the life of Jesus also may be manifested in our body.” 2 Corinthians 4:8-10. Help SAT-7 continue to connect with persecuted believers in Iran.